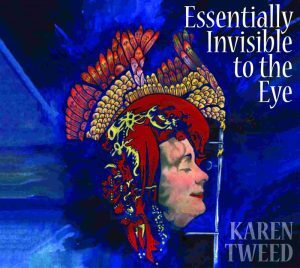 Essentially Invisible to the Eye is Karen Tweed’s latest recording and, in being entirely solo, is a departure from her extensive collaborative work which has dominated her career since the early 1990s. Born in London in 1963 to an Irish mother and English father, Karen took up the accordion at the age of eleven. 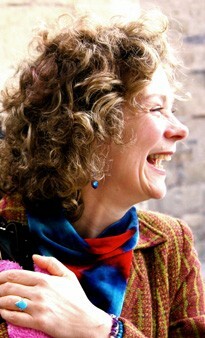 Since turning professional in the late 1980s, she has appeared on over thirty albums from her early days with The Kathryn Tickell Band to being a founding member of the pioneering all female Poozies, through the Anglo-Swedish ensemble SWAP, American collaboration Undertoe with Stuart Kenney, Marko Packard and Rodney Miller, to The Two Duos Quartet with Andy Cutting, Chris Wood and Ian Carr. Karen’s duo work with Ian Carr, Andy Cutting and also Roger Wilson and John Dipper has left many an audience mesmerised at her breathtaking musicianship, while her trios with Hannah James and Becky Price in Hell Said The Duchess and with Carolyn Robson and Kevin Dempsey are more examples of her diversity and creativity. Her larger scale projects include Circa Compania, a 14-piece all-singing, alldancing tour-de-force and The No 1 Ladies Accordion Orchestra where she has brought together accordionists from all over the UK. More recently she has been Musical Director of ‘Land of Liberty’ a community play directed by Philip Parr of Parrabola and her duo work includes singers Jackie Oates, Kevin Dempsey and Johnny Coppin. 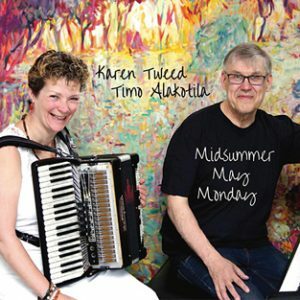 Karen’s teaming up with highly respected Finnish pianist and composer Timo Alakotila to form May Monday led to phenomenal praise and accolades for their artistic grace, beauty and breaking down of musical barriers. Her playing has been described as mercurial, soulful, effervescent and sensitive, while as a teacher, she’s proved to be an inspirational and encouraging role model; whether teaching university students performance and arrangement skills or leading accordion workshops and master classes. Essentially Invisible to the Eye, produced by Bruce Molsky, brings all of these influences and ideas from her career so far together and illustrates just how dynamic, sensual, joyful and inspirational she can be. 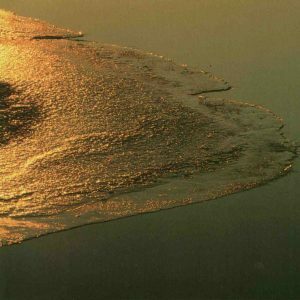 Karen’ often cites those she has worked with as major influences and inspiration and this fine recording shows how she continues to incorporate and further develop those ideas. 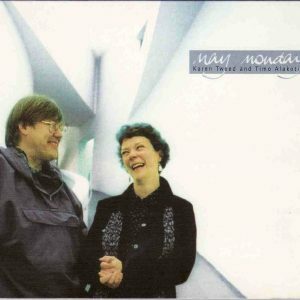 Following conversations with Bruce, Colum Sands and Lorraine Carpenter, Karen began to think about a solo project and their thoughts that her music could be seen as songs or stories without words rather than a collection of tunes, sparked off the seed for this CD. become Karen’s voice and pen and muse. 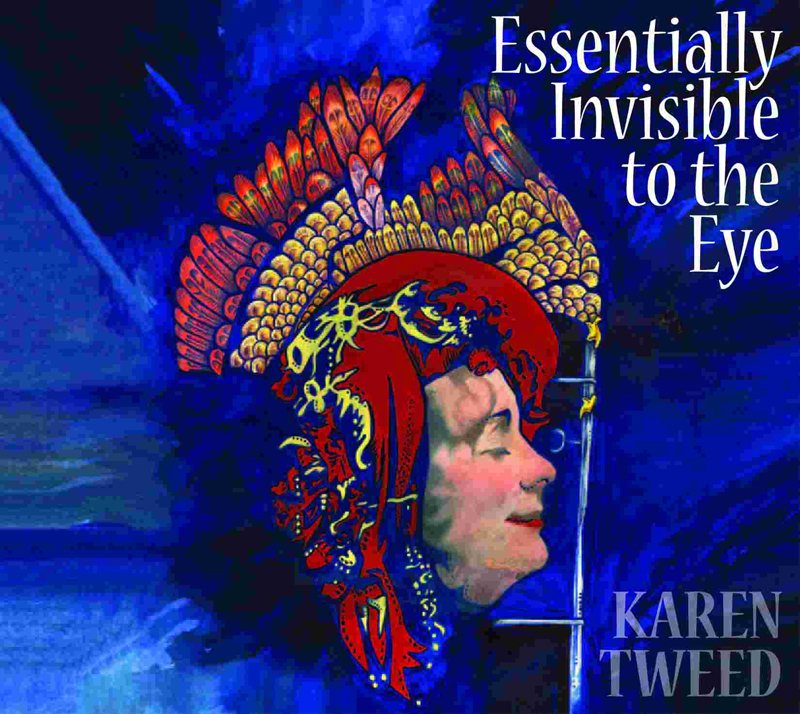 Essentially Invisible to the Eye is possibly Karen’s most emotive work to date and will be toured in its entirety in 2012.